Dr. Suzanne Zeedyk is a research scientist fascinated by babies’ innate capacity to connect. 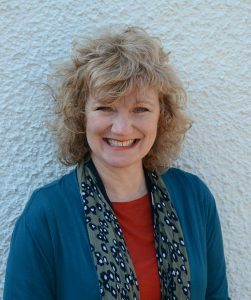 Since 1993, she has been based at the University of Dundee (Scotland), within the School of Psychology. Her academic career began in the USA, where she completed her PhD at Yale University. In 2011, Suzanne stepped away from a full-time academic post in order to establish an independent training enterprise. Its aim is to help the public understand all that science has discovered about the importance of emotional connection for human health and happiness. It’s working! Approximately 40,000 people have now attended her speaking events, and she reaches over 50,000 people a week on social media. She works internationally with organisations who are keen to think more deeply about fostering connection, compassion and resilience. In 2014, Suzanne broadened her public reach even further by founding the organization connected baby. She and her team work to help parents and professionals make practical use of the science of connection. Relationships matter – as much for human brains as for human hearts. For more information on Suzanne’s academic history, click here.